Content & web design by Andrea Vincenzi. Welcome to the most complete repository of information on Data Warehousing and Business Intelligence of the web. Data Warehouses are a mature technology, 80% of companies over 100 emplyees have at least one DW implementation. Many of these DW however have not reached their goals. This consulting service identifies existing problems and suggests possible solutions. Data Warehouse Design: for developers, data modelers, architects who want to master DW design techniques starting from an in-depth knowledge of the predominant architectures instead of a software tool. The courses can be delivered in Italian and English (the English description is available upon request). Links The most complete BI and DW links page on the web! Articles Selected articles taken from various sources and authors. 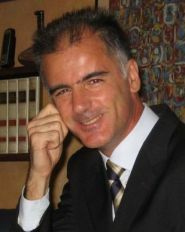 Andrea Vincenzi is an independent consultant specialized in data warehouse design. Other Useful Info Pointers to mailing lists, newsgroups, blogs and other useful sources. Case studies Success stories of Data Warehousing projects in Italy.